Simon Pavey has finished in 42nd place on the final timed stage of the 2009 Dakar Rally to secure 68th overall and his fifth career finish of what is regarded as the toughest event in the world. The Australian has completed the penultimate Stage of the 16-day, off-road endurance event, finishing the Special Timed Stage in 42nd position and is 68th overall. The World of BMW Off-Road Skills Chief Instructor overcame technical problems and some of the hardest stages of any Dakar to complete the 9,500km race across Argentina and Chile. “It was another day of fast tracks and it didn’t really challenge our riding or navigation abilities. "The scenery is so beautiful here and today was another great opportunity to take in the atmosphere and the landscapes. That’s one part of Dakar that I really love. The places and people it introduces you to. “I am so close to the end now that I started to worry about the little things that could go wrong. "We left the bivouac at 3:45am this morning, which didn’t give us any time to have breakfast. So further up the road I stopped at a service station and bought a can of Red Bull. "I lodged it in the front of my BMW G 650 Xchallenge so that I could drink it further on down the trail. "Later on, I had someone point at my bike to say that fluid was pouring out. I thought it must have been the radiator and really started to worry, but then I remembered the drink. "It was a relief to find a hole in the can and it was leaking everywhere. I gave it to one of the spectators and continued on my way. “After the timed special I met up with a group of Brits so that we could ride into Buenos Aires and experience the amazing atmosphere together. "The reception that we have received all along the way has been incredible. I would have never imagined it. The day’s route was 792km long and travelled from Cordoba to Buenos Aires in Argentina. 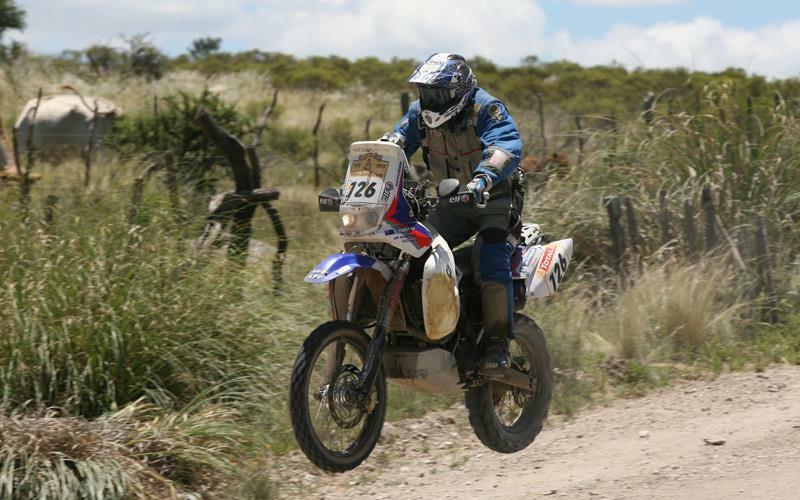 On the final day of the Dakar, competitors will ride in a procession through the city to cross the finish podium and receive their hard-earned 2009 Argentina – Chile Dakar Rally finisher medals.